Mobility, freedom, and portability. That's what you get with the I-neb AAD System. 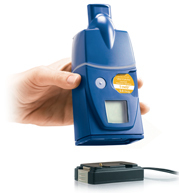 You can take the I-neb AAD System with you for treatments almost anywhere at any time. 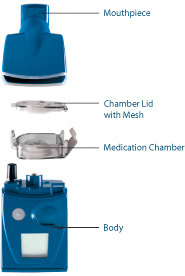 * The I-neb AAD System comes with two carrying cases for your chamber lids with mesh. What is the I-neb AAD? Inhaling VENTAVIS gets it right to the lungs—the site of the disease. After you receive your VENTAVIS prescription and I-neb AAD System from your specialty pharmacy, they will schedule a meeting between you and a VENTAVIS-trained nurse educator. The nurse educator will meet with you (either at home or in your doctor's office) to show you how to take your VENTAVIS treatments, and how to use and clean the I-neb AAD System. If you notice that your treatments are starting to take longer than usual, call your specialty pharmacy to ask for help. 8 am-8 pm (ET)/5 am-5 pm (PT), to help get you back on track.